Marin's most anticipated Gala, Angels by the Bay is celebrating our tenth anniversary at the exclusive Meadow Club on Saturday, October 14, benefiting The Marin Center for Independent Living. MCIL has been serving aging adults and people with all types of disabilities, medical conditions and illnesses in Marin County for 38 years. Come celebrate with us. Guests will be greeted with valet car service by CPA Valet, champagne and martini fountains. Enjoy tantalizing passed hors d’oeurves and wine tasting from renowned vintners including Scott Harvey Wines, Kelleher Family Vineyard, Peter Paul Wines, Sean Thackery Wines, MacRostie Winery, Broll Mountain Vineyard, Cline Cellars, Jacuzzi Vineyards and Firestone Beer, as you peruse our unique silent auction. Did I mention the Warrior Girls will be there selling our Date Night for a Year – Fine Restaurant Raffle tickets. Our gourmet dinner will be expertly paired with luscious Peter Paul Wines and our lively live auction offering one of a kind experiences will be expertly delivered by California Senator Mike McGuire. After dinner, enjoy our famous Telford's Cigar and Cognac Lounge and dance the night away! 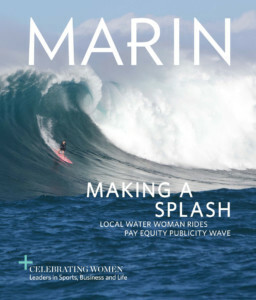 All this for one great cause – The Marin Center for Independent Living! We have a great time at this event AND we raise lots of money for a great cause! Hope to see you there! For more information or to purchase tickets please call Kathleen Woodcock at 415.297.6587 or go to the website at marincil.org. Buy your tickets early as this event sells out really fast. You can also visit our FaceBook page, Angels by the Bay.